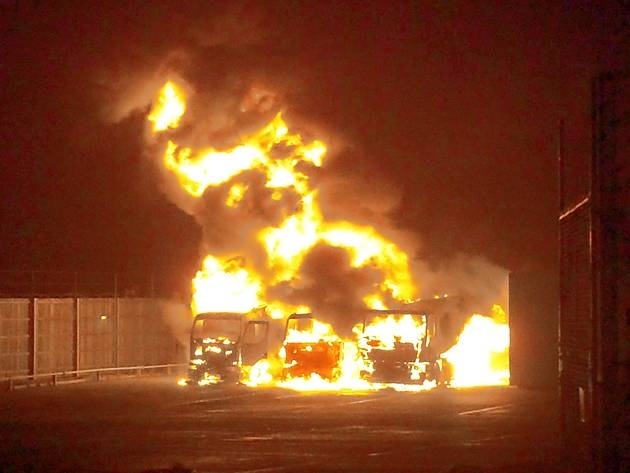 Firefighters have been tackling a blaze involving three fuel tankers in Suffolk. Ten crews were called to Ukay Fuels on an industrial site in Lady Lane, Hadleigh, just after 18:30 GMT. Eyewitnesses reported hearing explosions caused by the blaze. There were no reports of injuries. 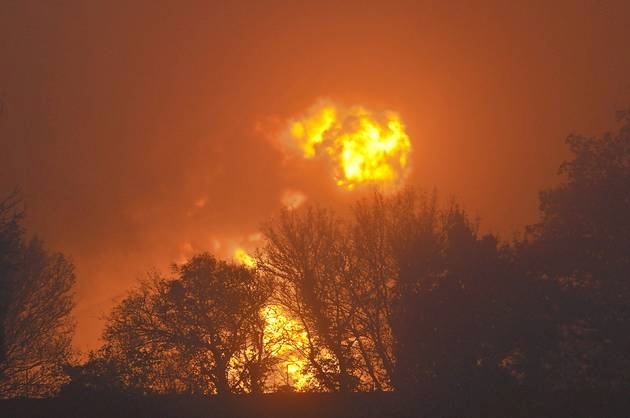 A Suffolk Fire and Rescue Service spokesman said three tankers were ablaze, but all the fires had now been extinguished. 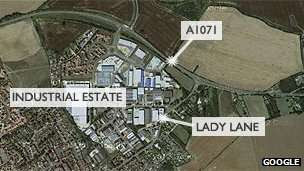 Police have also reopened the A1071 and removed a 300m cordon that was put around the area. Crews managed to prevent the fire spreading to a fourth static tanker, which contained 50,000 litres of gas oil. A Suffolk County Council spokesman said: "Suffolk fire and rescue has extinguished the fire at the Lady Lane Industrial Estate. "Firefighters worked throughout the evening to prevent the fire spreading from three mobile fuel tankers to other parts of the industrial estate." Mark Hardingham, deputy chief fire officer at the scene, said the first alight tanker was empty, but the second contained 12,000 litres of kerosene and the third had 15,000 litres of gas oil and 2,000 litres of road diesel. Some crews are expected to remain on site throughout the night and an investigation into the fire's cause will begin on Saturday. BBC Radio Suffolk reporter Alison Acton, who was close to the scene, said she could see flames "about 40 to 50ft in the air" when she arrived earlier. Eyewitness Nigel Slator, who was walking his dog, said he heard "three or four explosions" and saw "a lot of acrid smoke and big balls of flame" across the industrial estate. Nearby residents were advised to avoid the area and keep doors and windows closed. There were no evacuations. OK this actually happened as PAR were progressing their last application in 2012. Only 3 tankers involved here but look at the map above and the similarities. 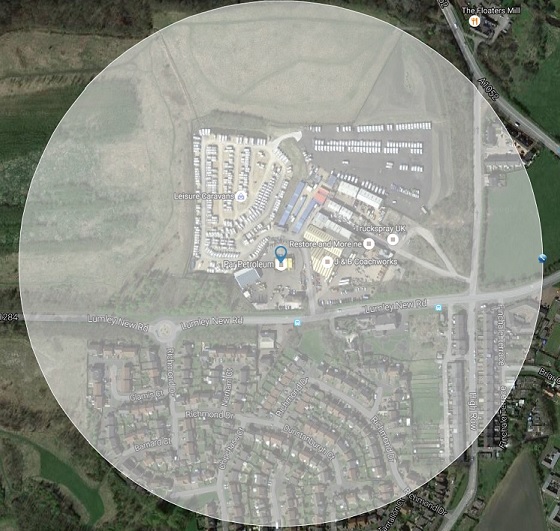 The map below represents the 300m cordon on the disputed site.